WordPress 5.0 introduced a new editing experience and the potential to tell your nonprofit’s story in powerful ways. Storytelling is the evergreen content your nonprofit needs. Every nonprofit has a dedicated cause with a reason that it matters. It’s important to share not only why your cause matters, but also your volunteer stories and stories that highlight how your cause has made an impact in the world. One way to accomplish this is to share stories through your blog. Before Gutenberg, creating powerful layouts for your stories required deep knowledge of CSS and HTML. So most blogs ended up being comprised mostly of plain text with intermittent images and the occasional Tweetable content, opt-in form embedded, or any other shortcode enabled piece. Readers today expect more than plain-text content — a by-product of limited web design skills of content creators. That kind of content is too boring — it doesn’t appeal to the modern reader. With WordPress 5.0 and the new Gutenberg writing experience, all a content writer really needs to know is how to navigate to this new and robust content builder to create something beautiful. Think back; has your nonprofit experienced something awesome that you wish you could share with the world or your donors in a media-rich story-building article? Now you can! Or maybe you’ve already written about it. You can go back and recreate that story with Gutenberg. If you need help using Gutenberg in general, you can always check out this tutorial on WPBeginner. If you haven’t upgraded to WordPress 5.0+ yet, you can test the new editor live here. Here, we won’t cover the basics on using the new editor. Instead, we’re going to tell you how to really customize your content to tell your story with the greatest impact, starting with block choices. Start by choosing your toolset. WordPress Core comes with many useful blocks, but you will need more robust capabilities to create the kind of storytelling experience we’re aiming for. Which group of blocks do you choose to begin with? There really is no one right answer for this, but you might get overwhelmed trying to choose from so many different plugins, often with overlapping functionalities. To help you out, here are seven that we feel have a solid combination of tools in the least amount of plugins that we’ve found so far. I’m a big fan of Kadence Blocks. Their row layout block has extremely robust functionality, including container width restrictions, background images, and more. It also comes with a pre-built library. So if you get stuck, you can always take a look at some of the things they’ve created with their blocks already. Each of the blocks is extremely customizable with the extended editing features found inside the Gutenberg editor. While the free version of their plugin is extremely powerful on its own, Kadence Themes also provides a pro version as well as a membership so you can do much more, including get priority support. There are other plugins that have many of the same blocks as Kadence Blocks, but their main winning feature is the ppage building experience. There is a lot of power in the customization of the Kadence Blocks. This plugin includes a LOT of blocks. It’s actually more of an open source project that accepts block contributions. You will find some overlap with other plugins, but mainly the Advanced Gutenberg Blocks gives you much more control over a lot of the customization you will want when formatting your story. You can deactivate and activate any blocks you want in the global settings for the plugin, so if you don’t want to use all the blocks you don’t even need to have them turned on. Using the Advanced Blocks plugin you can add an enticing intro format to your posts, embed a responsive Google Map easily, and a lot more. It’s powerful and growing so there is the potential for this plugin to get a lot more robust. Another extremely powerful tool with multiple diverse blocks is Ultimate Addons for Gutenberg by Brainstorm Force. In addition to its general content formatting blocks, this plugin includes many tools to display your posts on a page or post in extremely customizable formats. All blocks included are listed below. 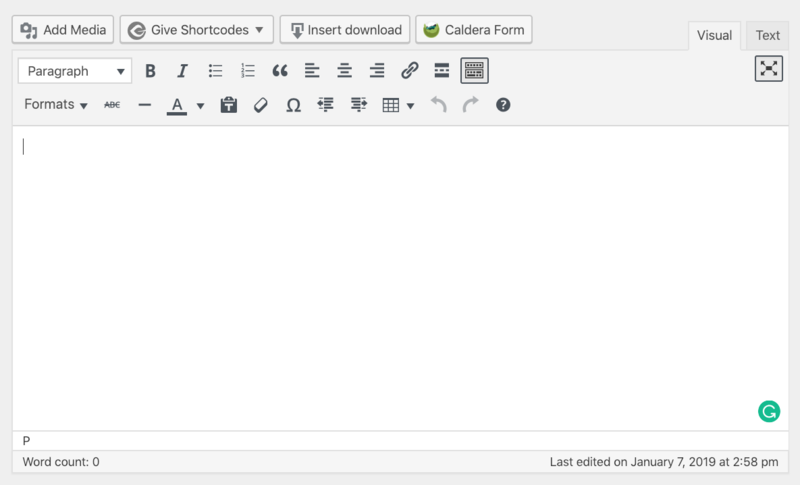 Using the Section block in Ultimate Addons for Gutenberg is similar to the Row block in the Kadence Blocks set. The difference is the editor and some of the editing capabilities. Other overlapping blocks with the plugins above are similarly different. Which blocks you choose for various purposes will depend on your preference. Last, but not least, in the category of content formatting and page-building blocks is Stackable, available for free on WordPress.org. It has some similar blocks to those above, but again some that those plugins do not have. You can do a LOT with Stackable. They have some great ways to display data, like the Count Up Block. You could use that to tell your reader how many people your cause has impacted, how many volunteers you have to date, etc. The possibilities are countless. If you want creative ways to display your media files, the Block Gallery plugin is the way to go. It gives you varying formats and display options so you can do a lot more with your content. Telling a website visitor your story without any sort of direction, call to action, or goal in mind is going to bring you disappointment. You can include a call to action to join your newsletter, sign up as a volunteer, follow you on social media, or give to your cause. 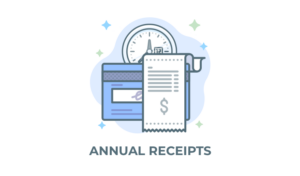 Give’s donation form blocks allow you to display your forms and donors in varying customizable formats. Use these blocks to embed subtle calls to action throughout your story or create really strong requests to donate at the top or bottom of your page. Some of the bigger plugins with multiple blocks above included click to Tweet blocks, but none of them have the power of Better Click to Tweet. Better Click to Tweet is simply better, especially when you add in premium styles. With premium styles, you can choose from various designs for your Tweetable content blocks rather than just one. Now that you’ve discovered seven blocks to take your storytelling to the next level, it’s time to create content with them. The main idea is to mix it up and break up your text with media-rich formats. Create a page that makes you want to keep scrolling. If you choose to use one of these templates for any of your posts, you will need to install all of the above plugins. We also used Astra Theme in the making of all of these examples, but each template will adapt to your theme styles (as long as your theme is compatible with Gutenberg). An impact story is exactly what it sounds like. What has your cause done that made an impact in someone’s life or a community? How have you made a difference in the world? Your volunteers also have great insight into your organization, what it means to be a part of your cause, and how it feels to help out. These stories can help you recruit other volunteers or even entice donors. Below is an example of what that kind of post could look like. 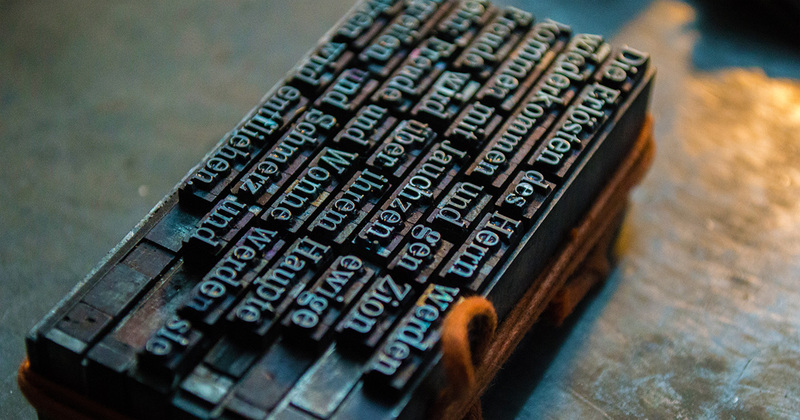 There is no one right way to create content, but now that we have Gutenberg there are unlimited possibilities for everyone. We’d love to see what you’ve done with the new WordPress editor. Tell us about it in the comments.